The Queen has been pleased to confer a Peerage of the United Kingdom for Life on the Most Reverend and Right Honourable Dr Rowan Williams Lord Archbishop of Canterbury upon his retirement from the See of Canterbury. 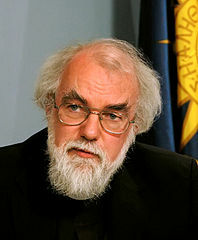 Rowan Williams will be created a Baron for Life by the style and title of Baron Williams of Oystermouth in the City and County of Swansea. Dr Williams does not actually retire until 31st December, but most likely his Christmas sermon yesterday was his last official duty. So today was an appropriate day to announce this honour for him, a customary one for retiring Archbishops of Canterbury. 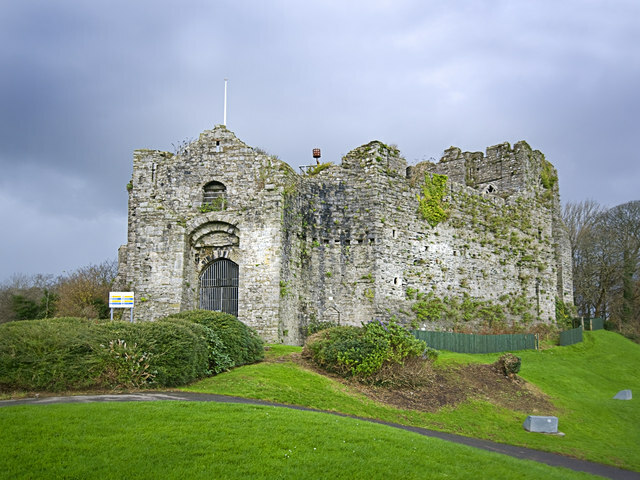 Well, the name “Oystermouth” comes from the ruined mediaeval castle which overlooks Swansea Bay, and which was no doubt very familiar to Rowan as he grew up and went to school in the Welsh city of Swansea. In fact the name has nothing to do with the shellfish for which the bay is well known, but is a corruption of a Welsh word. But Rowan’s new title was asking for comments like Paul’s. A mouth hard to open but when it does you find pearls of wisdom? Well, I could have put it like that! It is undeniable (not least because it is well recorded on this blog) that I have had my differences with the retiring Archbishop. There was a time when, it seemed, whenever he opened his mouth it was to put his foot in it, rather than to bring forth pearls of wisdom. The Sharia law controversy was a particularly memorable example of that. He also admitted that he didn’t like the “political bits” of his role, leading me to suggest that he left it for an appointment where these “political bits” are not central. But I have to accept that he was landed with almost impossible tasks such as preserving unity through the 2008 Lambeth Conference and in the Church of England debate on women bishops. Could anyone else have done better with these tasks? Probably not. Anyway, although Rowan is not dead, it seems to me bad form to speak ill of the newly ennobled. So I will repeat the substance of my tweet. As he transitions into his new appointment as Master of Magdalene College, Cambridge, I expect the new Lord Williams to live up to his “Oystermouth” title by opening his mouth in public only rarely, and only when he has genuine pearls of wisdom to offer to the church or to the world. I wish Rowan and his wife Jane all the best as they return to the city and university where I knew Jane, and where she later met her husband. 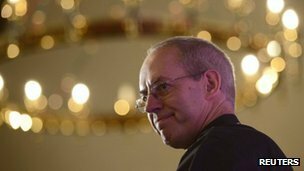 I also wish all the best to Rowan’s successor, Justin Welby, now Bishop of Durham, as he prepares to move in the spring to Canterbury Cathedral and Lambeth Palace. I am not a great fan of Doctor Who, although I do remember watching the first ever episode. But many of my readers are fans. So this post is my Christmas gift especially to them, and to Whovians worldwide. The TARDIS, the Doctor’s time machine which on the outside looks like a British police telephone box, is famous for being bigger on the inside than on the outside. 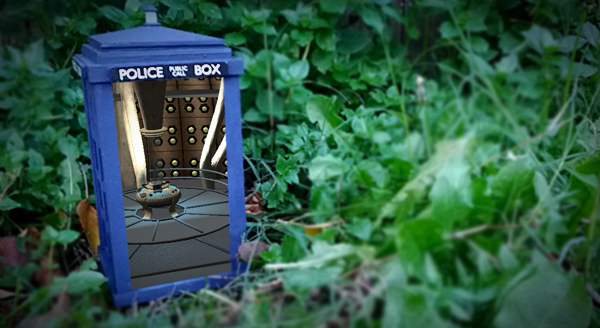 As reported by the BBC, an American Doctor Who fan has created a model TARDIS which, he claims, is “Bigger On The Inside. No, Really.” Apparently it’s all a matter of some software trickery called “augmented reality”. I must say I’m not very impressed. My church in England manages to look bigger on the inside than on the outside. That’s not because of clever technology, but because its entrance is a small storefront and the sanctuary (at least that’s what they would call it here in America) is hidden behind the other shops. So it is easy to create this illusion, but not so easy for it to become a reality. In the last ‘Narnia’ story,The Last Battle, we see the end of the world of Narnia. At one point in the story the children find themselves in a stable. Seen from the outside it looked small and dingy, but when they go through the door they find themselves in a beautiful country that seems to stretch on forever. Someone comments that the stable is bigger on the inside than it is on the outside. Its inside is bigger than its outside. So, is this where the Doctor Who writers got their idea for the TARDIS? Quite possibly. Lewis’ stable is also connected with a kind of time travel, as it brought characters from the Narnia’s ancient past (indeed Digory watched its first dawn) into its last days. And The Last Battle (1956) was a recent book when the TARDIS was first shown in 1963. 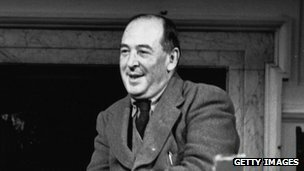 It is perhaps a good thing that Lewis never got to watch Doctor Who and see how his idea had been abused, as he died the day before the first episode was shown. 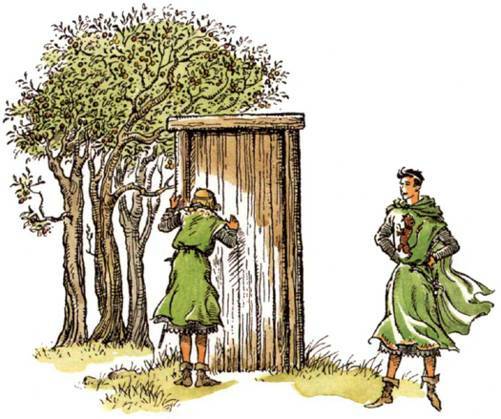 As Tim explains, the whole Narnia series is filled with implicit Christian teaching. But these words of Lucy are probably the only explicit mention of anything Christian in any of the books. So, it seems, the original TARDIS was the stable in Bethlehem – or whatever the building was where Mary laid her child in a manger. This stable couldn’t fly; in the legend of the Holy House of Loreto it was Mary’s family home which flew to Italy, carried by angels. But the stable was the birthplace of the only true Time Lord. Jesus was bigger than the whole world, and he still is as he reigns in heaven. But he allowed himself to become human, and even for a time to be limited by the body of a tiny baby. Why did he do this? He did it so that we, his human brothers and sisters, could share with him what God intended for humanity, to rule over his creation (Genesis 1:26) and to be seated with Christ in the heavenly realms (Ephesians 2:6). That birth in Bethlehem was only the beginning of the story. This Christmas, don’t stop at the end of Chapter One, but read on to the end, and find how you too can follow Jesus and play an important part in God’s reality show in this world, which is far more exciting than Doctor Who! If we replace “gods” with the three persons of the Trinity, is this what is happening to the Church of England? Certainly the church seems to have gone mad. Having decided in principle that it wants women as bishops, it has spent years going round in circles trying to find an acceptable formula for this, only to reject its chosen formula today, by a narrow margin. That is not the action of a sane and rational body. 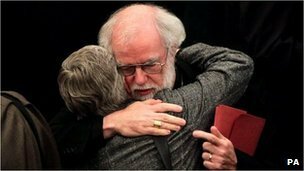 And it is a sad farewell for outgoing Archbishop Rowan Williams. I’m not quite saying that today’s vote was irrational, because it may be that the proposed compromise with opponents was so insane that it was rational to reject it. Surely one can doubt the sanity of anyone who tries to push through a compromise which is completely rejected by one of the parties involved. But would that party have accepted any compromise? It seems to me that the only way ahead now is the one suggested by Sam Norton in his post Please can we now do women bishops the right way? There is no future in trying to compromise between black and white. As the Apostle Paul asked, “what fellowship can light have with darkness?” (2 Corinthians 6:14, NIV) Of course, each side will say that they are light and their opponents are darkness, but that just proves the point. So, just as on the first day of creation God “separated the light from the darkness” (Genesis 1:4), at this point there needs to be not a compromise but a separation. We just need to make sure that the kinds of procedures Sam outlines are followed. Then, unlike what has happened in The Episcopal Church in the USA, the separation can hopefully be an amicable one which does not lead to lawsuits and mutual anathemas. Of course if the Trinity really wishes to destroy the Church of England, no human scheme will be able to preserve it. But it may not be too late for that body to repent, put its house in order, and find itself again under God’s blessing. Archbishop-elect Justin Welby looks like a good choice of leader for this difficult task. Today’s vote will have made the task harder, but the long term result just may be a cleaner and so stronger Church of England. If not, read on! I am deliberately posting this just after the polls close here in Virginia (although they are still open further west) as I don’t want to seen as trying to influence the result. But I don’t yet know any results, or even any reliable predictions. It is an interesting experience to observe an election here in the USA, and in one of the key swing states. Actually this is not for the first time – I was in North Carolina for my Bible translation work during the 2000 election. I don’t have a vote, as I am not a US citizen. But I do have an interest in the result, as a taxpayer and husband of a business owner in the USA. If I had had a vote and had decided on the basis of self-interest, that might not have been what some would expect, as for better or for worse the economy of this region is highly dependent on federal government money. In fact I would have decided more on principle, but I don’t want to turn this post into a partisan one by explaining that further. In this area the streets and country roads are, or until very recently were, lined with election posters. Not surprisingly, as this is a relatively conservative rural area, the majority of the signs have been for Romney. But there are also a good number of Obama supporters in this small city. Meanwhile our home telephone, which we hardly use (but have to have to get home internet), has been ringing regularly with election calls. Most seem to have been from the Republicans. Indeed yesterday I put the phone down on Mitt Romney. This was partly because he called me “Jennifer”. Well, I guess it wasn’t really him, but a recording. I would have done the same if Barack Obama had called, but perhaps not quite so quickly! I haven’t watched much TV, but the little I have seen has been punctuated with very regular political commercials. Also the TV channels are said to be highly politically polarized. Today, election day, I have been shocked by the allegations of fraud and attempted manipulation of the polls. I suspect that these allegations, on both sides, have been exaggerated. I am also shocked by the threats of some that there will be violence if their favored candidate loses, but I would think these are also exaggerated – but we may see quite soon. So all in all watching this election has been an interesting experience, but not really very different from a British one. I guess the real difference has been the sheer amount of money spent, largely on TV ads. I’m glad political ads are not allowed in the UK, and that the broadcast news media at least try to be politically neutral. I consider an issue to be a real issue in an election when one or other of the candidates has made it a real issue and proposed specific action on it. As far as I can tell neither Obama nor McCain proposed any action which would have any definite effect on the number or wrongness of abortions in the USA. This was only an issue for those who chose to make it an issue, and were perhaps dreaming that VP Palin or supreme court judges whom McCain might have appointed might do something about abortion, which is in practice highly unlikely to have happened. Perhaps slightly more likely is that Obama’s social policies will have a side effect of reducing abortion, but for that we can only hope and pray. But I do consider it irresponsible that many Christians were deciding their vote largely on the abortion issue when in fact there was so little to distinguish the candidates on this issue. It seems to me that exactly the same is true of this election, if you replace “McCain” with “Romney” and “Palin” with “Ryan”. So, I repeat, I consider it irresponsible that many Christians are deciding their vote largely on the abortion issue when in fact there is so little to distinguish the main candidates on this issue. 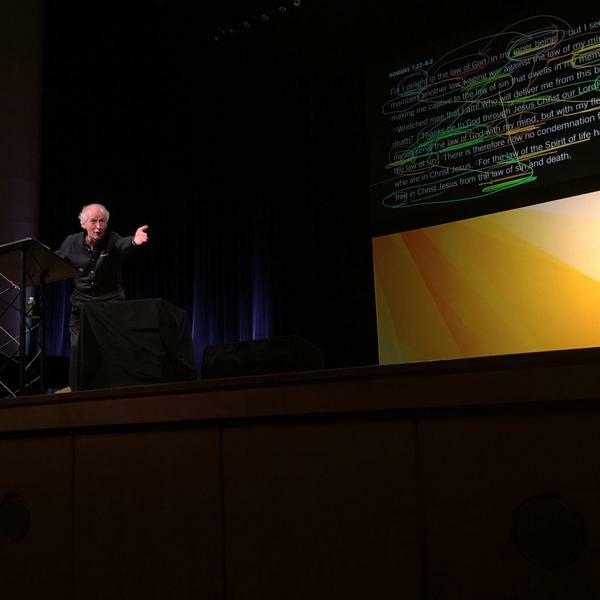 Well, it is too late now – but a recent tweet suggesting that evangelicals in Virginia are staying at home may suggest that this factor is less important than it might have been. 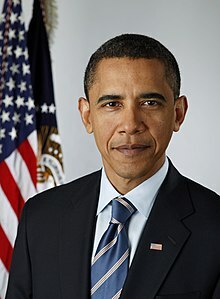 There is simply no question about it: Barack Obama is a born again man who has trusted in Jesus Christ with his whole heart. Obama is having a new encounter with truth. This means that, according to Hunter, the President would no longer suggest that all religions are essentially the same. I trust that this also means that he would now stop carrying in his pocket “a tiny monkey god”, which made me suggest in 2008 that he might in fact be a Hindu. 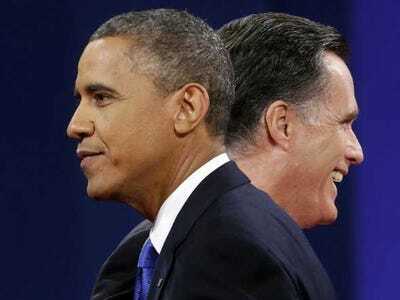 Meanwhile there seems to be no question that Obama’s apparently most likely opponent in this year’s elections, Mitt Romney, is not a born again Christian, at least as evangelicals would understand the term. So who should American Christians vote for? If they choose to vote for Romney, they should at least admit to themselves and to others that they are voting for the policies they prefer, not because they want to see a Christian in the White House. Cameron tried to send love to Murdoch editor: FAIL! I haven’t kept up with the details of the Leveson inquiry into the British press. But I sometimes see headlines of something really shocking, and sometimes of something really stupid. But today’s news takes the biscuit: something potentially shocking but also so hilariously stupid that no one will take it as seriously as they perhaps should. 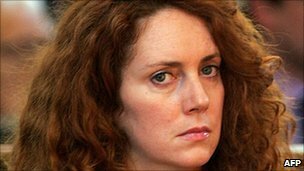 Today at the inquiry, as the BBC reports, it was the turn to give evidence of Rebekah Brooks, former editor of the Murdoch newspapers the News of the World and the Sun, and then Chief Executive of Rupert Murdoch’s company News International until she was forced to resign in 2011. It has long been known that Rebekah is a personal friend of Prime Minister David Cameron. So it is hardly surprising that they exchanged regular text messages, although she has called allegations that he texted her 12 times a day while opposition leader “preposterous”. She said the prime minister signed off most texts with the letters DC but occasionally used the acronym LOL. But she said he stopped this when he learnt the text shorthand stood for “laugh out loud” not “lots of love”. In other words, David Cameron, a married man, was in the habit of trying to send “lots of love” to this woman friend, but he in fact completely failed to do so! I’m not sure which is more concerning, that he would have this kind of relationship with a newspaper editor, or that he would be so incompetent at expressing his love. I’m sure Rebekah indeed laughed out loud when she found out what was happening. I hope these revelations don’t cause difficulties between David and Samantha Cameron or between Rebekah and her husband Charlie Brooks. But I would be pleased if they signal the end of the far too cosy relationship between the British government and the Murdoch controlled press.